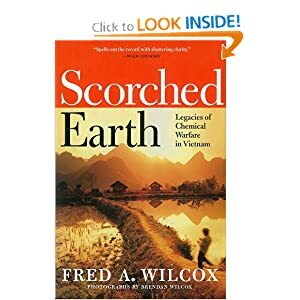 Fred A. Wilcox is the author most recently of "Scorched Earth: Legacies of Chemical Warfare in Vietnam" with an introduction by Noam Chomsky. His other works include "Waiting For an Army To Die: The Tragedy of Agent Orange," "Fighting the Lamb's War: The Autobiography of Philip Berrigan," "Disciples & Dissidents: Prison Writings of the Prince of Peace Plowshares," "Uncommon Martyrs: How the Berrigans and Others Are Turning Swords into Plowshares," and "Chasing Shadows: Memoirs of a Sixties Survivor." He is an associate professor in the writing department at Ithaca College. Cross-posted from JapanFocus. In the abominable history of war, with the sole exception of nuclear weapons, never has such an inhuman fate ever before been reserved for the survivors. Making their way through Vietnam’s dense jungles, U.S soldiers heard a cacophony of squawking birds, chattering monkeys, and insects buzzing like high voltage wires. But after C-123 cargo planes swooped low over the trees, saturating them with Agent Orange, the ground was littered with decaying jungle birds, paralyzed and dying monkeys. Clusters of dead fish shimmered like buttons on the surface of slow-moving streams. Years later, veterans will recall being soaked, like the trees, when aircraft jettisoned their herbicides. They will remember feeling dizzy, bleeding from the nose and mouth, suffering from debilitating skin rashes and violent headaches after being exposed to Agent Orange, an herbicide contaminated with TCDD-dioxin, a carcinogenic, fetus deforming, and quite possibly mutagenic chemical. 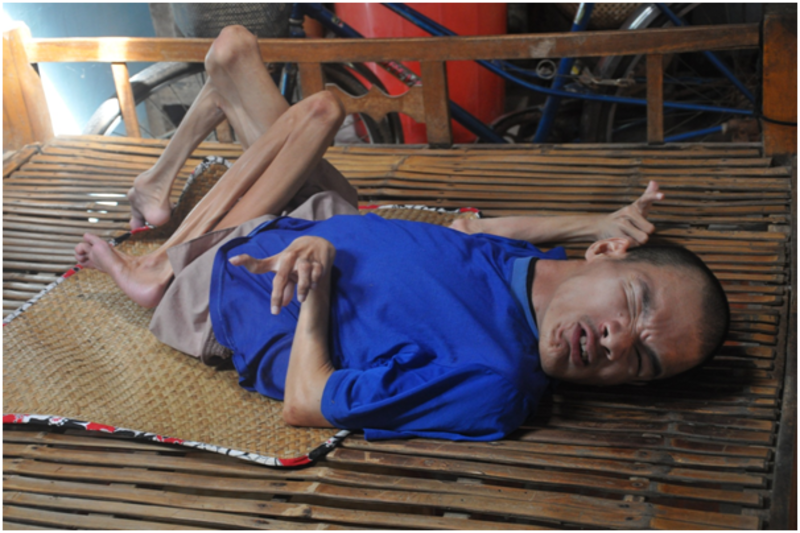 Vietnamese caught in the path of herbicide missions complained that they felt faint, bled from the nose and mouth, vomited, suffered from numbness in their hands and feet, and experienced migraine-like headaches. They said that farm animals grew weak, got sick, and even died after being exposed to defoliants. In late 1967, following a period of massive use of Agent Orange in Vietnam, Saigon newspapers began publishing reports on a new birth abnormality, calling it the “egg bundle-like fetus.” One paper, Dong Nai, published an article about women giving birth to stillborn fetuses, with a photograph of a dead baby whose face was that of a duck. There were accounts of babies being born with two heads, three arms and 20 fingers; babies with heads like sheep or poodles; babies with three legs. The Saigon government argued that these birth defects were caused by something called “Okinawa bacteria.” Peasants whose families had lived on the same land for generations said they’d never encountered such strange phenomena. The U.S. dismissed these complaints as communist propaganda. Angry over the outcome of the war, as though the Vietnamese had tricked the United States into invading their country and then refused to fight fairly, the U.S government imposed an embargo on trade with Vietnam, blocked private relief programs for that war-torn country, and found other ways to punish its former enemy. From 1961, when the military first began using herbicides in Vietnam, until 1970, when it suspended the use Agent Orange, chemical warfare turned Vietnam’s majestic triple-canopy jungles into toxic graveyards, and its mangrove forests into eerie moonscapes. Sooner or later, said those who knew little or nothing about the long-term effects of herbicides like Agent Orange, the trees would grow back and the tigers, bears, elephants and other creatures would return. Forty years after the last spray mission in Vietnam, the jungles have not recovered, and no one knows for certain when, or even if, they ever will. Responding to American veterans’ concerns about the possible health effects of Agent Orange, the Department of Defense claimed that combat troops had not entered defoliated zones until six weeks after Air Force pilots had destroyed the trees. By that time, said the DOD, residue from the herbicide spray would have broken down, limiting soldiers’ exposure to toxic chemicals. At last, after many months, the VA discovered that Ray Clark was in fact suffering from bladder cancer. That was a very long time ago. No one knows, or will ever know, how many Vietnam veterans have died lonely, bitter, and depressed from Agent Orange, knowing that the government they served cared so little about them. At the height of the fighting, Dr. Nguyen Thi Ngoc Phuong was a young intern at Tu Du maternity hospital in Saigon (now Ho Chi Minh City). A beautiful and remarkably cheerful woman, Dr. Phuong has dedicated her life to researching, writing, and speaking about the horrors of chemical warfare. Dr. Phuong delivered more and more babies with missing limbs, two bodies fused together with one set of internal organs; babies with partial or missing brains; babies with missing heads; babies that didn’t open their eyes, didn’t cry and died within a few days after delivery. 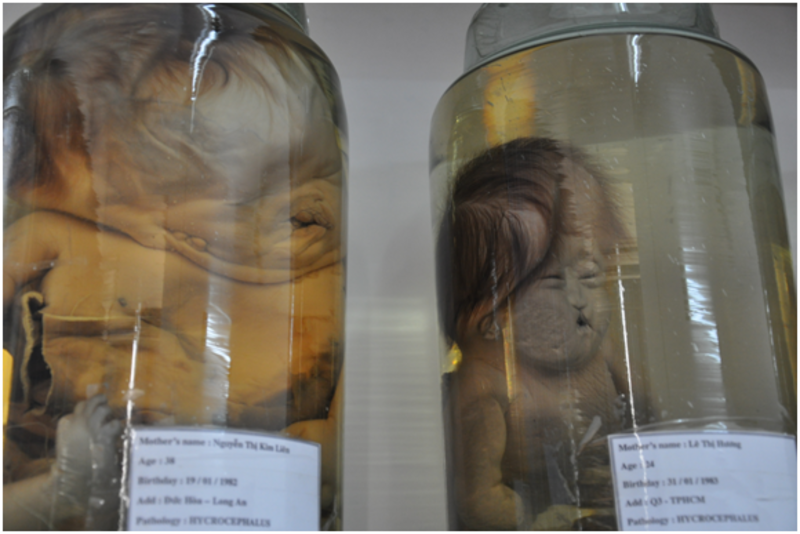 Instead of fully formed fetuses, some women at Tu Du gave birth to formless bloody lumps. Dr. Phuong attempted to tell colleagues about her growing suspicions that the birth defects she was seeing and about which she was hearing might have something to do with the U.S. military’s campaign to destroy Vietnam’s jungles and forests. 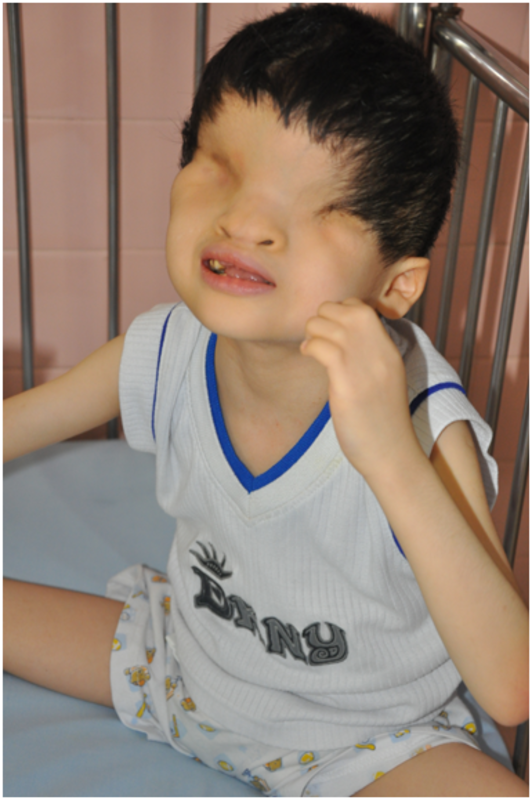 While Dr. Phuong struggled with how to console young mothers who’d given birth to hopelessly deformed babies, scientists in the United States discovered that even in the lowest doses given, 2,4,5-T, one of the herbicides in Agent Orange, caused cleft palates, missing and deformed eyes, cystic kidneys and enlarged livers in the offspring of laboratory animals. The results of this study were withheld until 1969, the year Dr. Phuong spared a young mother from knowing that she had given birth to a monster. Asked if she if she has invited the wartime manufacturers of Agent Orange to visit Tu Du Hospital, and to examine the extensive research she and other Vietnamese doctors and scientists have done into the effects of dioxin on animals and human beings, Dr. Phuong laughs. In 2004, Vietnamese victims of chemical warfare filed a class action lawsuit against Dow, Monsanto, and other manufacturers of Agent Orange, charging these companies with war crimes. Federal judge Jack Weinstein presided over this case, a rather ironic, indeed bewildering, choice since Weinstein was the judge who managed to keep Vietnam veterans from having their day in court in 1983. Veterans and their families had wanted to show the world what happens to human beings when they are exposed to chemicals like dioxin. They’d hoped to see all products contaminated with dioxin removed from the market, and an international ban on carcinogenic and mutagenic chemicals. They were asking for justice for victims of chemical warfare, not some insulting payoff for their suffering. Twenty years later, Judge Weinstein ruled against the Vietnamese plaintiffs—some of the witnesses died soon after returning home to Vietnam—and appellate courts upheld his decision. According to spokespersons for the manufacturers of Agent Orange, these companies were just following orders, and doing their patriotic duty when they sold the U.S. military more than 20 million gallons of Agent Orange. Therefore, they are neither legally nor morally obligated to pay for any harm that U.S. soldiers and the Vietnamese people allege can be traced to the defoliation campaign in Southeast Asia. That Agent Orange was contaminated with TCDD-dioxin, the most toxic small molecule known to science, and that at least one manufacturer, Dow Chemical, knew that dioxin was “potentially deadly to human beings” makes no difference. John F. Kennedy and Lyndon Baines Johnson signed on to the defoliation campaign and year after year Congress funded the use of herbicides in Vietnam. The use of Agent Orange, then, was an integral part of a noble effort to protect a small-impoverished nation from the threat of a communist takeover. The chemical manufacturers of Agent Orange continue to deny that there’s any valid scientific evidence to support the view that dioxin harms human beings. It’s hard to imagine that their scientists are unaware that every known human carcinogen causes cancer in animals, and that nearly everything that causes birth defects in humans also causes birth defects in animals. The chemical companies must know that after injuries and violence, cancer is the number one killer of American children, and that the world scientific community considers dioxin a carcinogen. Three million Vietnamese people, including 500,000 children, are suffering from the tragic legacies of chemical warfare. In Vietnam, a third and even fourth generation of Agent Orange babies have been born, and no one really knows when this calamity might end. Far too many U.S. veterans are reaching their late fifties and early sixties, only to become ill and die from the effects of long-term exposure to dioxin in Southeast Asia. We are losing our friends and neighbors, our husbands and wives and children to cancer. This epidemic will continue until we demand that multinational corporations stop dumping toxic chemicals into our air, water, and food supplies. We are the Vietnamese; they are us. We ignore their suffering at our own peril. 1 Jerold M. Starr, Ed. The Lessons of the Vietnam War. (Pittsburg: Center for Social Studies Education, 1991) pp. 261-7). 2 Fred A. Wilcox, Waiting for an Army to Die: The Tragedy of Agent Orange ( New York: Random House, 1983), Introduction. 5 Fred A. Wilcox, Scorched Earth: Legacies of Chemical Warfare in Vietnam (Seven Stories Press, 2011), p. 162. 7 Sandra Steingraber, Living Downstream (Da Capo Press, 2010), p. 47.